You must make reservations at least 5 minutes in advance of the time at LIBERATORE'S Ristorante & Catering - Bel Air. We are located in a in the Bel Air Town Center with plenty of parking available. Every Friday Night, Live Music by local Artist/Musicians. Every Saturday Night, DJ with music for everyone. 7 Flat Screen TVs. Satellite Music 7 days a week. Enjoy the delicious food you have come to know and expect from LIBERATORE'S. Whether in the comfort of your home, the convenience of your office, or on location at your special event. If you are looking for a place to hold your event, we offer 3 separate rooms that can individually accommodate approx. 40 people, or combined up to nearly 100 people. Rooms for any business or social function, with uniquely prepared menus to suite your taste. We offer both Special Served Limited Menu, or Buffet Style, with a variety of choice and within your budget. From the simple to the most elegant affairs. Three separate rooms that can individually accommodate approx. 40 people, or combined up to nearly 100 people. The largest room, located on our Mezzanine, oversees the dinner on the first floor and has a great view to our large projector screen. Our private rooms are perfect for business seminars, birthdays, rehearsal dinners showers, etc. 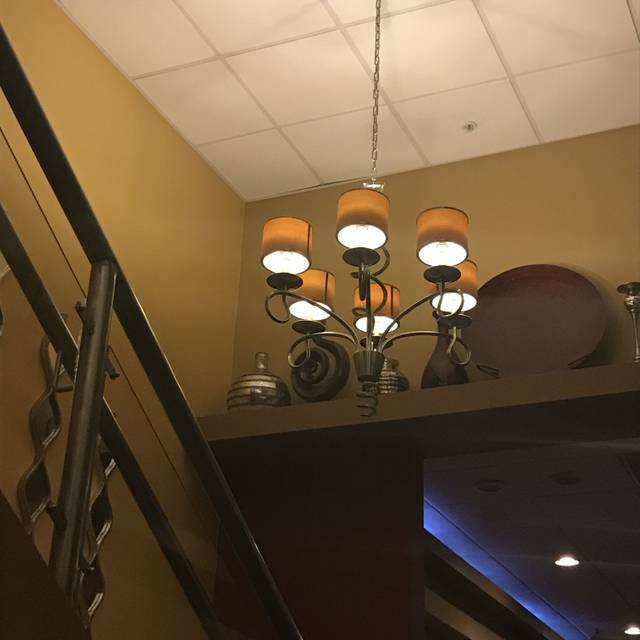 If our elaborate two-story design, casual atmosphere, and great service don't tempt you to visit us, our delicious menu will. 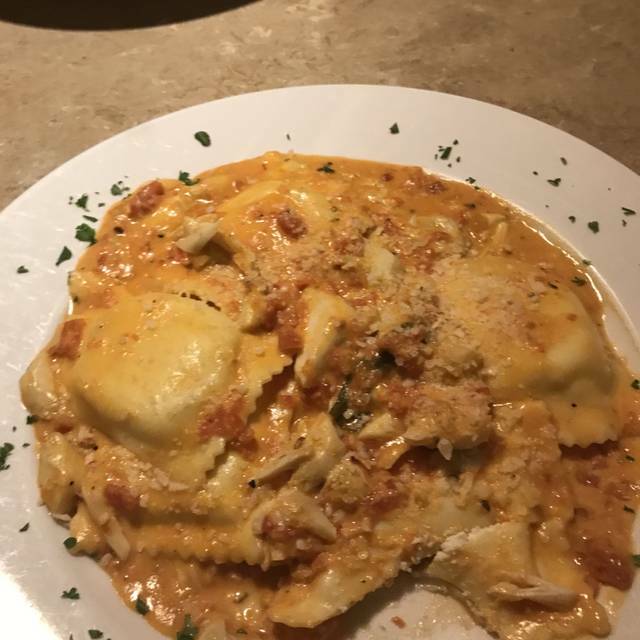 From traditional homemade lasagna, to our savory lobster tetrazzini, or premium veal saltimbocca, everyone will find a favorite here. 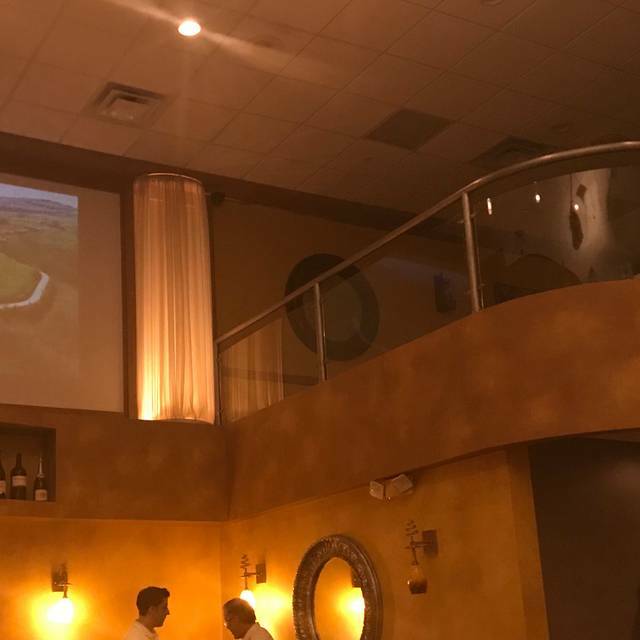 Enjoy a great meal while you watch scenes form the Italian Country Side on our Humongous projector screen, largest movie screen of any local restaurant. Or perhaps you prefer to dine in one of our private rooms, perfect for presentation, birthdays, rehearsal diners, anniversaries, etc. Also, Liberatore's Lounge is a classy place to catch live local music, unwind with a drink (FYI: Best Martini Bar), or catch your favorite game on one of our 7 large screen TVs. While lounging, enjoy our Lite fare Menu or any items from our full menu, but make sure you do not miss our Happy Hour Promotions M-F 4-7 pm. Whether with family or friends, come and treat yourself to an evening full of flavor and style. We are so thankful to hear this from you! We are flattered to be your favorite, with so many options for dining in Bel Air. Richard is an excellent asset to our team and we're glad that he took great care of you! Can't wait to see you again next time! We look forward to it. Thank you so much. Hi, Stace! We’re so glad that you enjoyed the rockfish special! We are always creating new, fresh fish plates every weekend and hope that we’ll see you again next time so that you can try it out! Thanks for joining us! Always love dining at Liberatores Belair. Food is great. Everyone is friendly. Prices are reasonable. Easy to get too, away from the other Belair clustered areas. Usually end up in the Bar area for after dinner cocktail. We will always return. Italo is the Best! Hi, Kim! We love seeing you too! 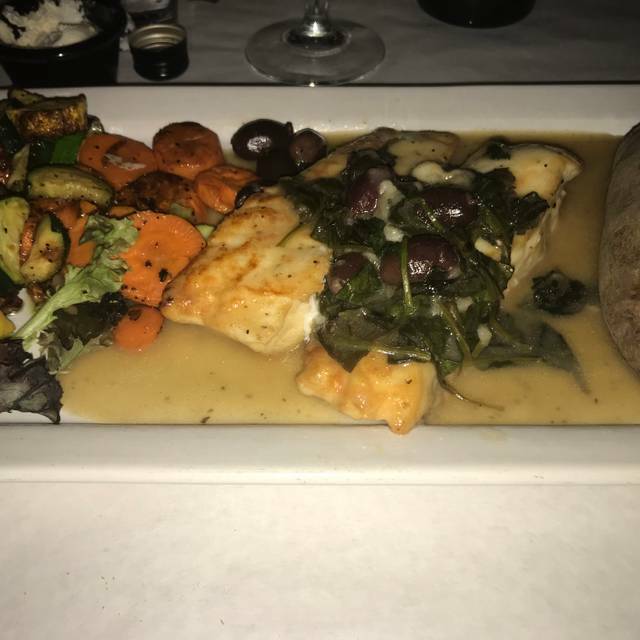 Thank you for joining us this past Friday and for letting us know that you can always count on us for a great meal, attentive service, and a fun night out. Italo will be happy to hear you say that! We hope that we’ll see you next time! Thanks so much, Kim! Chicken Parm it tastes so good!!!! Everything was amazing as always! We’re so glad that you enjoyed it, John! We love our Chicken Parm, too! Hope that we’ll see you again soon! We look forward to it! The service was pretty good. My family liked what they ordered. I ordered the NY strip which is usually very good but this time it seemed like it was a sirloin not a strip. Steak was tough and not very flavorful. Maybe just a rookie in the kitchen? We're sorry to hear that your NY Strip wasn't as flavorful as it usually is here, Bryan. We will absolutely pass the words along to the chef so that he can ensure all of the staff in the kitchen are preparing plates consistently. We are glad that your family enjoyed themselves, and we hope that we'll see you again next time for a better steak. We feature steak nights every Wednesday! Our waitress Ronnie was awesome! we had a reservation and our wait time was acceptable, but we were put in a back room with no other patrons behind a partition isolated from the restaurant which did take away from our experience. We're so pleased to hear that Veronica took great care of you, Cathy! Thank you for joining us. We apologize that you felt separated from the rest of the dining room floor being sat in our overflow seating area. Many of our guest enjoy when they get more privacy during their experience, but if this happens again, please feel free to mention it and we can open up the curtain for you; it's never a problem. Hope to see you next time! Hi, Ellen. We're extremely sorry to hear that the noise level was much too loud during your visit. This isn't a typical complaint at all, especially without live music directly playing, but we will definitely look into ways to assist with this so that our guests can enjoy their time without these interruptions. As for the food, please never hesitate to let us know if you don't enjoy a dish. We never hesitate to replace it, and we hope that you'll allow us to show you a better time. Consistently Excellent, Love the veal saltimboca and the drink of the day Blood Orange Margarita at a great price. 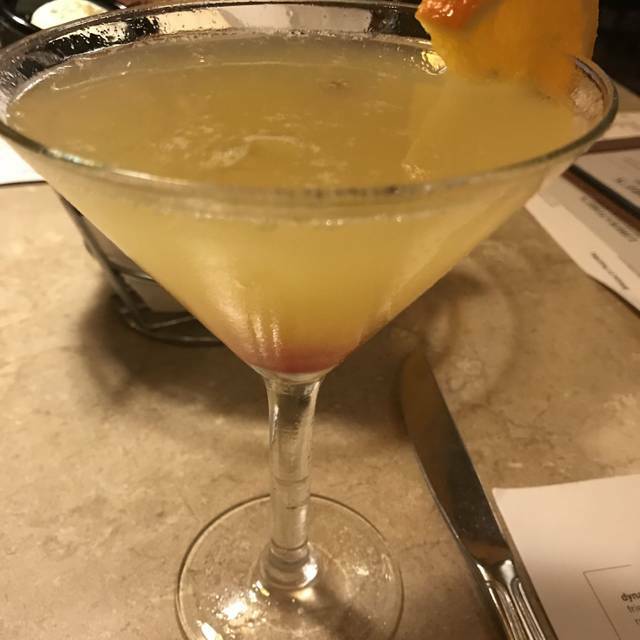 We're so glad that you enjoyed the veal and the blood orange margarita! Thank you for joining us, and for this fantastic rating. Hope that we'll see you again next time! Hey, Jeff. 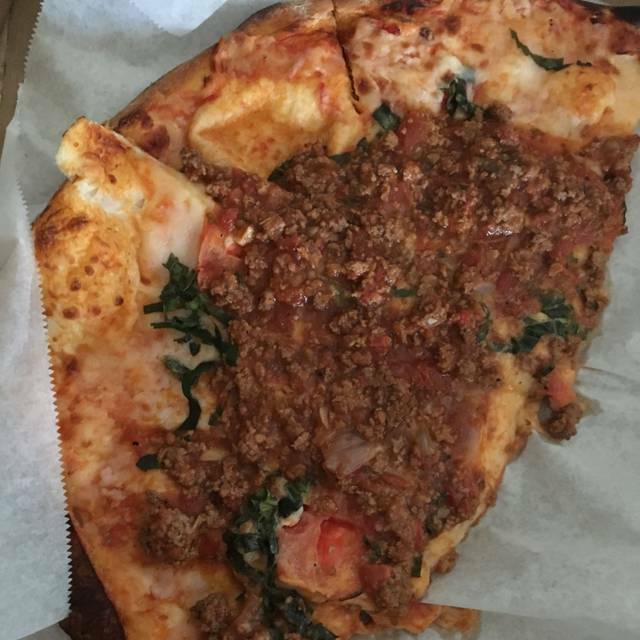 We're so sorry to hear that you didn't enjoy the pizza or the rockfish on your recent visit. We will be addressing these concerns with those in our kitchen to ensure that more care is put into preparing each and every dish that is served, even during peak times. We appreciate your feedback, we can't better our operations without it. We hope that you'll give us another shot to provide a more authentic Liberatore's experience. We know we can do better. We were seated upstairs and we enjoyed the vantage point. Even with the amount of people seated below and in the bar, it is quiet and we were able to hold conversation easily. The food was delicious and reasonably priced. The staff was polite and attentive, but not to the point of hovering. My fiance and I were the first couple seated upstairs that evening and one of the staff saw us and dimmed the lights for us to create an intimate setting. We were greeted immediately when we arrived and wished a good night as we left. This is a great place to go for a quiet romantic dinner with a loved one. We're so glad that we made your date night even more special than anticipated. We're thrilled that you enjoyed the food, the service, and the ambiance provided by Liberatore's. We're so glad to hear it, and truly hope to see you next time! We appreciate your kind words. See you soon! Lasagna was good I asked for some extra cheese to sprinkle on top and I asked if they could leave the cheese so I could do it myself and they seem to have an issue with that. The wine was delicious. So was the lasagna. We're thrilled to hear that you enjoyed the lasagna and the wine. Thank you for joining us! We apologize if our staff were hesitant to leave the cheese at the table. Typically, we like our staff to serve the cheese to our guests. So leaving the bowl can appear to others that the staff fell short on this expectation, that was probably the concern. We thank you for joining us, and hope to see you again next time for more great lasagna! Thank you. Great Italian food and atmosphere!!! The service is exceptional!! Highly recommend Liberatores Bel Air! Thank you so much, Christine! We're so glad that you enjoyed the food, service, and atmosphere! We look so forward to your next visit. Hope to see you soon! We appreciate the recommendation. Outstanding - our favorite place. Their eggplant parmigiana is only one I will order out. Thank you so much for letting us know how much you enjoyed your experience with us, Greg! 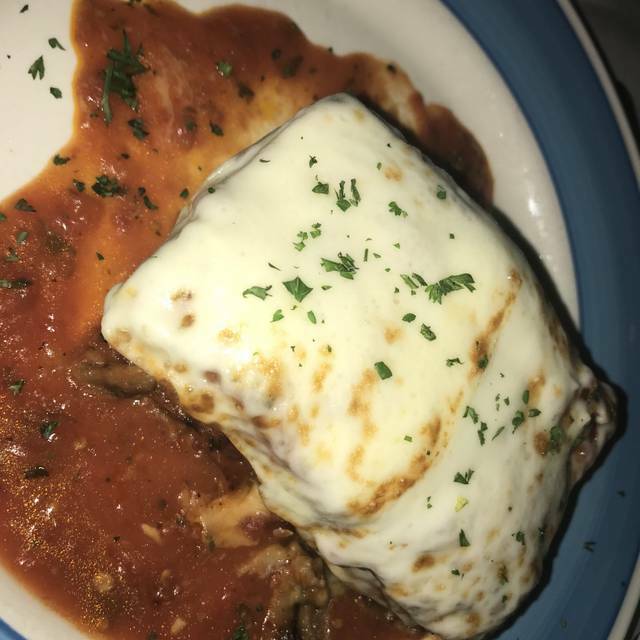 Our eggplant parmigiana is fantastic, and we're so thrilled that you loved it. Hope to see you again next time! Nice little place in a strip mall, so nothing too fancy. Bread was good, appetizer was amazing (Brussel sprouts). Server (Theresa?) was fantastic, super attentive and great conversationalist. Dinners were not so great. Wife got braised short ribs, tasted a bit “old”. My salmon was a little bland. Bed of risotto was fair. 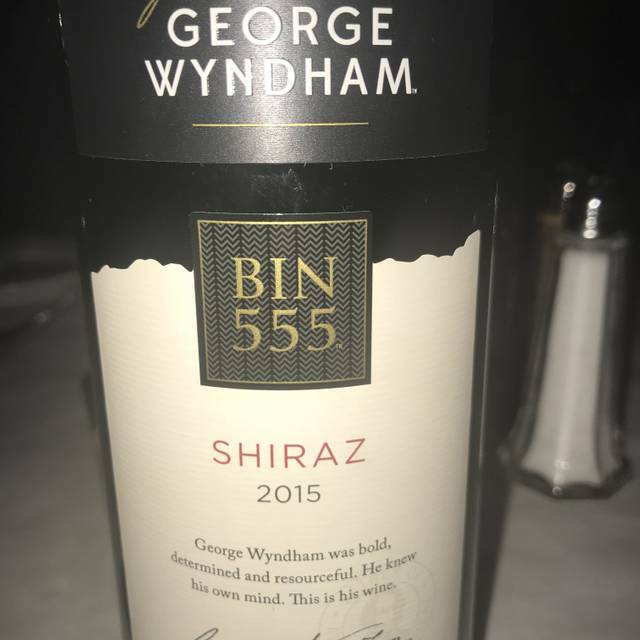 Wine selection was pretty good. We ate upstairs which was a little quieter and more cozy than downstairs. All in all, nice place for casual dining. But if I’m looking for top notch cuisine, probably opt for somewhere else. Hey, Chris. Thanks so much for joining us! We're glad that you enjoyed the ambiance and the service. As for the food, we're disappointed to hear that the dishes served weren't up to par. We will address this with our kitchen staff. Thank you for the feedback, and we hope that your next visit is a much better one. Hey, Jeff. We're extremely disappointed to hear that your didn't enjoy your meals. Our managers and servers always try to improve any situation that is less than satisfactory, and we're extremely sorry that the sauce served on the first entrees ruined your experience. We experienced a high volume on Valentine's Day and we're extremely disappointed in ourselves that this effected the quality of the food served. Your next visit will be better, you have our word. We hope to see you both again. very disappointed. The mashed potatoes and vegetables were not hot. The diet Pepsi was flat. The legroom at the booth was insufficient. The cake portion was small. Hey, Mark. We're disappointed to hear this as well. We typically get a lot of compliments on our steaks, and we will address your comments with the kitchen to ensure that they are being prepared and cut properly. As for the soda and sides, we apologize for this also. We never hesitate to replace a meal for our guests that are unsatisfied. We want all of our guests to be comfortable, relax, and enjoy their time here. Hope that you'll give us a chance to redeem ourselves. Thanks for the feedback. The service was very slow. The food was average at best. My wife's dinner was cold when served but she chose not to say anything since we had waited so long to get our meal. Wait staff was friendly. Will not go back. We're extremely disappointed to hear that your visit fell short of your, and our, standards. We typically offer fantastic service along with great Italian food and we're upset that we didn't display either of these for you. We can assure you that we will be addressing your concerns with both the servers as well as the kitchen. Hope that you'll give us another shot, and accept our apology for this evening that was subpar for you both. Very nice place, however, it took forever to get served dinner. We're extremely sorry for any wait that you experienced in being served your dinner. We experienced an issue in our kitchen on the night that you dined, and once your food was brought to our attention, we tried our best to serve you dinner. We have addressed this issue, and hope for it to not happen again next time. Thank you for your feedback, and we hope that your next visit is a much better one. The food is excellent and Lance the bartender makes the best cocktails. Hi, John! Thanks so much for joining us! Lance does make a great drink! Glad that he took great care of you, and we look forward to your next visit! We are a fan of Liberatore's Bel Air and have become acquainted with many of the staff. It's one of our "go to" restaurants" simply because we are comfortable there. Two things would greatly improve the guest experience. First, and foremost, meals need to be more flavorful and prepared with greater care. Often items are bland and seem over held (as a former restaurateur I know the difference between "held" and made to order). Secondly, a better selection of modestly priced wines would be nice. Hi, Rick. We cannot tell you how much we appreciate your continued patronage. It means the world to us to continuously see the same faces over and over again and know that they love it here. We will absolutely take your words into consideration and try to implement better practices in our kitchen. We will be changing our wine list April 1 and hope that you can find new options to try out! We appreciate you and hope to see you next time! The food was great, but they sat my husband and I right between two very large parties and it was really difficult for the staff to keep up with everyone. We felt overlooked, and it was very loud. Hey, Tami. We appreciate you bringing this to our attention. We're incredibly sorry to hear that the service was slower than usual because of the large crowd. We will address this with our staff to ensure to notify management in there are any additional needs that they don't have the time to address. We're glad that you loved the food, and truly hope that your next visit is better! What a pleasant experience. The waitress was pleasant and helpful and also patient. The food was outstanding. We will be back. We had a fantastic meal during restaurant week on Saturday evening. The restaurant was busy, the ambiance was vibrant and the food was plentiful and delicious! We had a wonderful experience! Always consistently great. Love this restaurant. Every plate is delicious. Drinks are fantastic. We had Jessica as our primary server who was excellent but we are always impressed with the way other servers such as Chris and the other ladies pitch in to check on us and take a request. 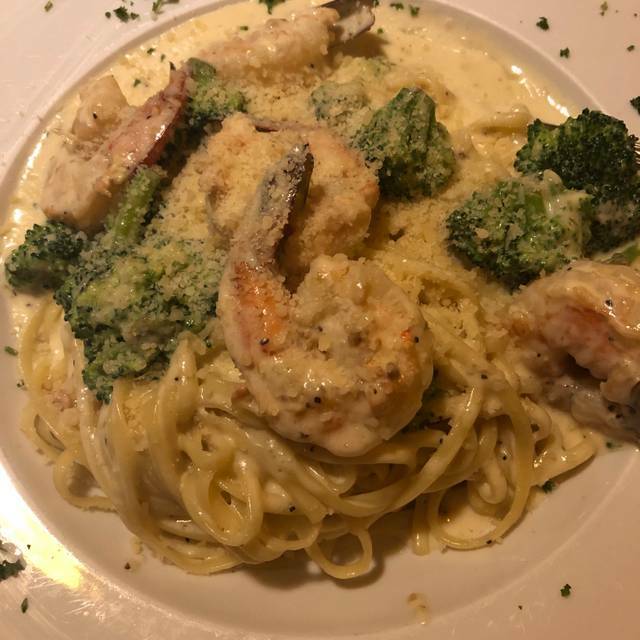 Dining at Liboratore's makes our weekend. Such a lively happy atmosphere. Great for families. Hi, guys! We're thrilled to hear that Jess took great care of you! We will pass the compliments along to her! Thank you both for your continued patronage to us and for taking the time to let us know how much you enjoy the team work that is displayed here at Liberatore's. We'll see you again soon! Always a pleasure to dine here, and tonight was no exception. Great food, but more importantly, a discrete and professional waiter who knew the menu, and served with finesse. We were impressed. The food was great...we went during restaurant week and chose from the restaurant week menu. The waiter was quick to take our drink order but seemed to take a while to actually get our drinks. I didn't think the place was that busy to cause that wait. Anyway, once we placed our orders, we received our food relatively quickly. Everything tasted great and I would definitely go back. Diverse menu, good service, consistently good. While we had a very good meal and fine service the restaurant was bustling and very noisy to the point that it was almost too hard to carry on a good conversation. In addition to a busy bar crowd we were seated by 2 tables each having children of toddler age (who had a temper tantrum for quite awhile) or approximate ages of 4-5 years who while they were behaved talked in loud voices. I would not have wanted it to be a night of a first date or celebration of an anniversary or other special occasion. The food was great the portion sizes were decent. It was crowded and noisy but overall it was a nice dinner. Hi, Crystal! Thanks so much for joining us and for letting us know that you enjoyed the food and overall time spent with us! Hope that we'll see you again next time. Until then! I had salmon and risotto. It was perfect. Kendall was our server and we really appreciated her. Our poker group had a great meal. We asked for separate checks and it was no problem! Excellent service, large portions. Delizioso! Excellent restaurant that never disappoints. Visit regularly and second time here for New Year’s Eve dinner and it was fabulous as usual. The food and service were great and the New Year’s Eve extras included a complimentary champagne toast, DJ music, and dancing. New Year’s Eve, very busy, reservations for 8:30pm seated closer to 9 pm. Service slow, food was ok, but not as good as previous visits. Usually a favorite, but this night it was disappointing (limited menu, chicken not blackened, neither "jumbo" shrimp nor "large" scallops). It was New Year’s Eve so there was a smaller menu being served. Too bad they cut down on the seasonings because I know they can do better. The food was a little to bland for our tastes. The food was ok- the service was not. Our server would stop by and ask if everyone was ok and then walk away without waiting for a reply. I felt rushed to eat, but yet waited too long to get the food, drinks, etc.